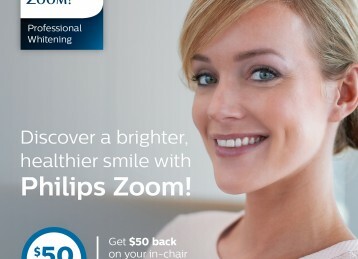 Now Spring is here we are offering Zoom Power Teeth Whitening for $580, PLUS a further $50 cash back from Philips on application. This has to be the best value in Subiaco! Coupled with your health insurance rebate, this offer could see you with a brighter, whiter smile with very little out of pocket expense! Phone us or drop in for details.